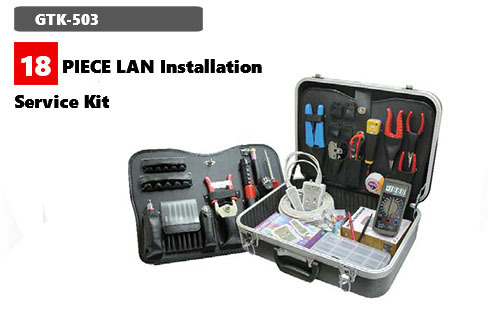 • Check Coax, Cat.7,6 and 5e twisted cord network and trouble. 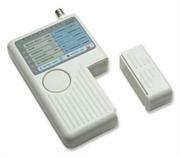 • Identifi es and locates the distance to an open or a short in seconds. 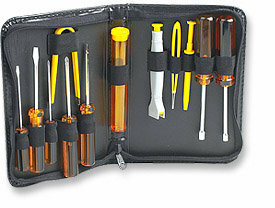 fi nd the trouble location. 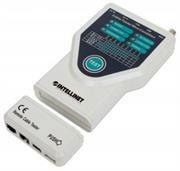 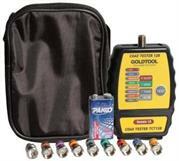 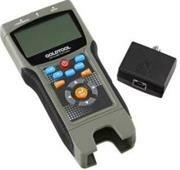 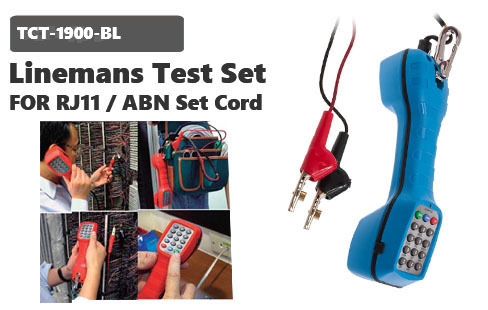 • Service line test and no external adaptor is required. 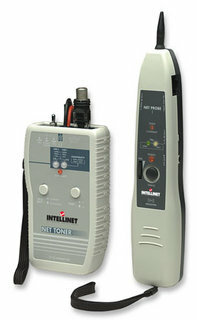 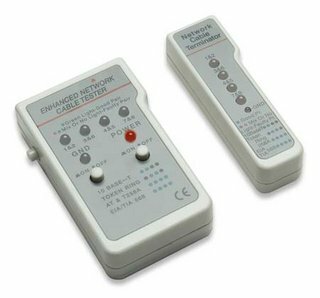 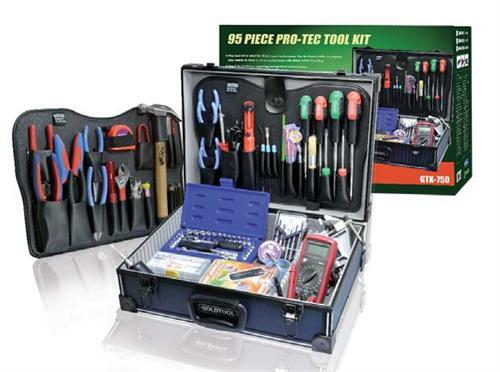 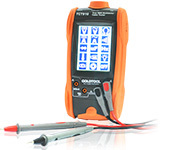 • Determine continuity and wiring pattern. 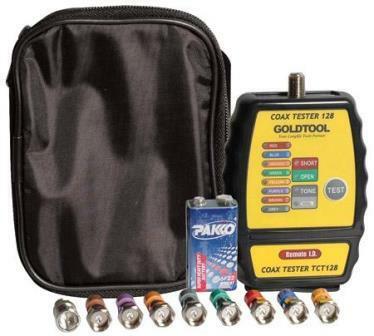 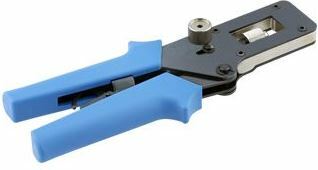 The Goldtool Coax Cable Stripper [ GHT-332 } very easy to use stripper is sized specifically for RG-58, RG-59 and RG-6 Coaxial Cable. 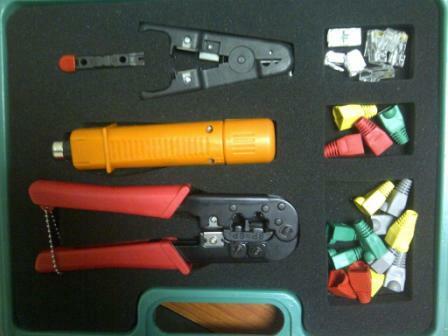 The plastic guide can be rotated to strip RG6, RG58 and RG59. 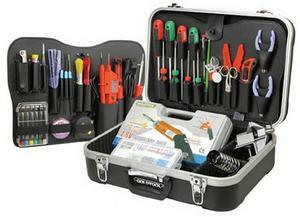 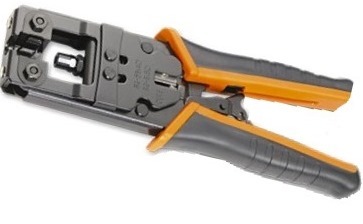 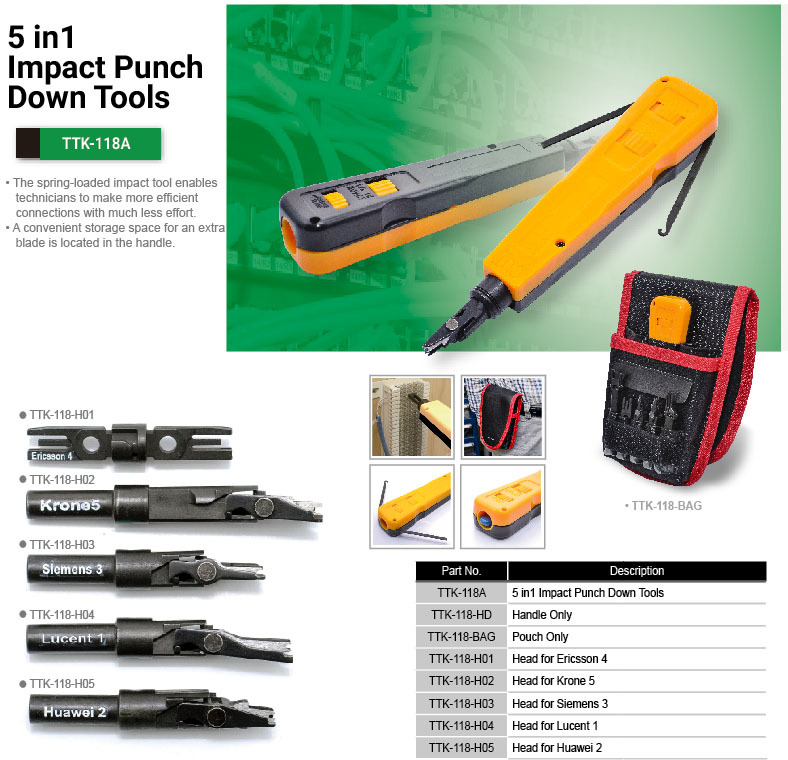 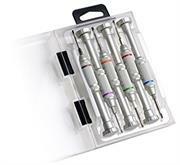 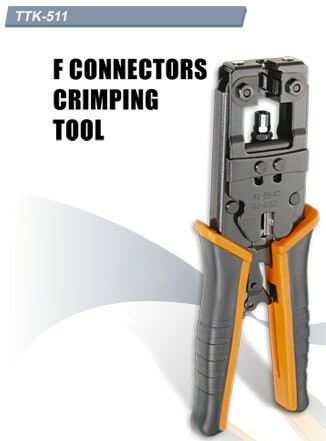 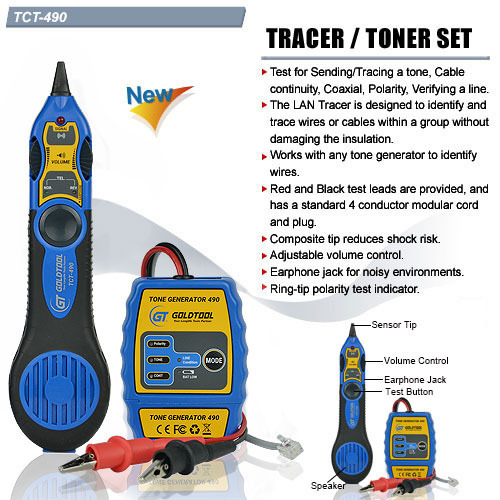 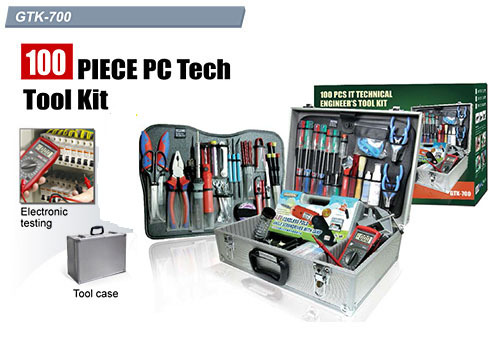 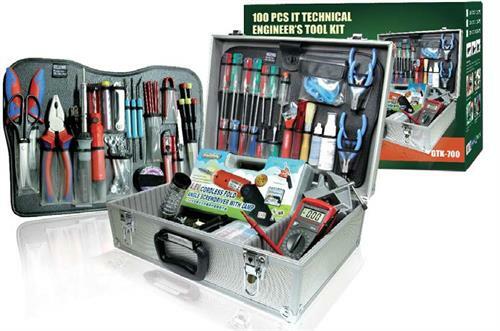 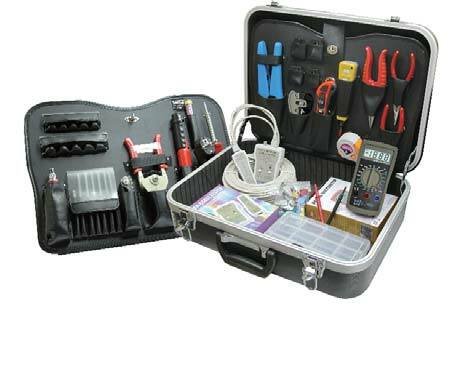 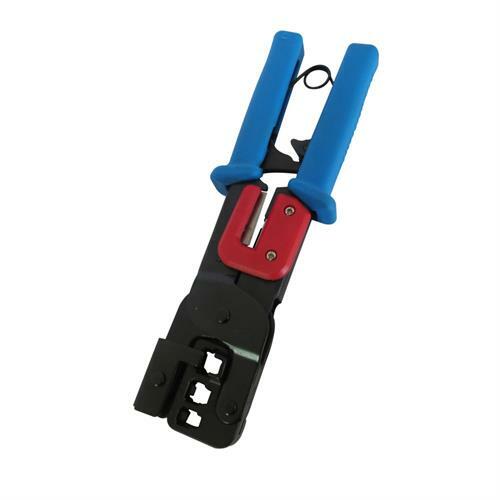 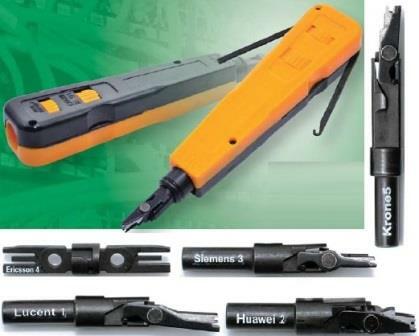 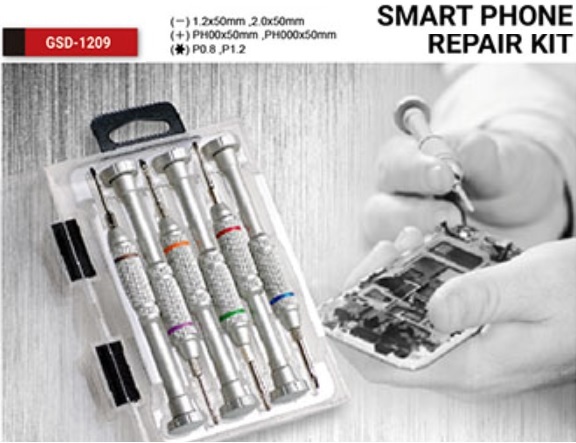 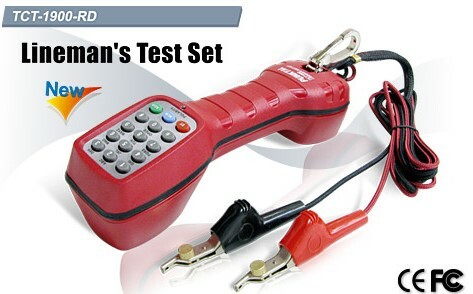 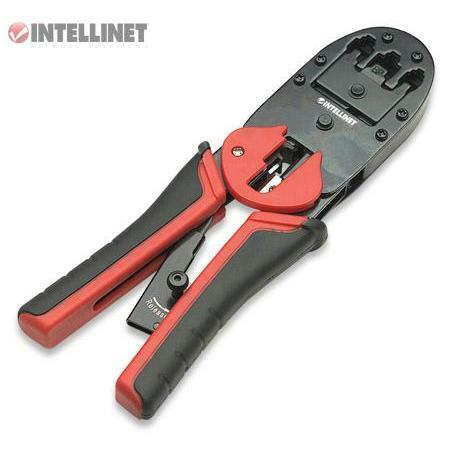 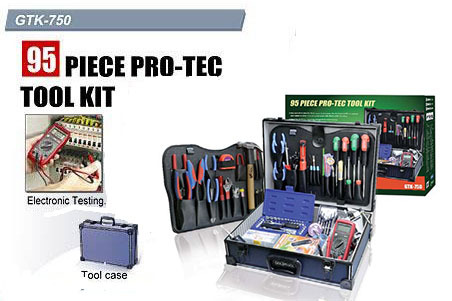 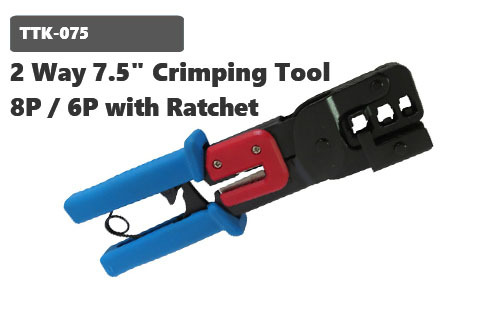 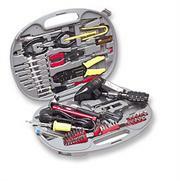 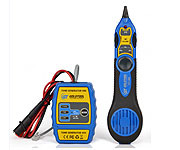 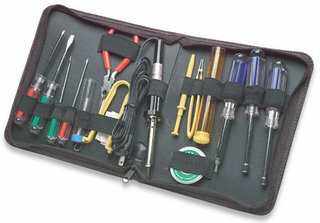 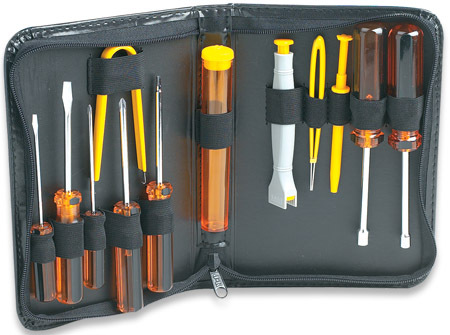 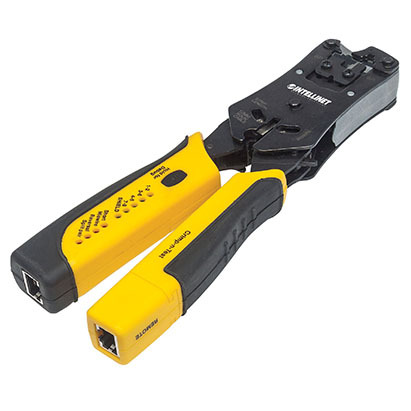 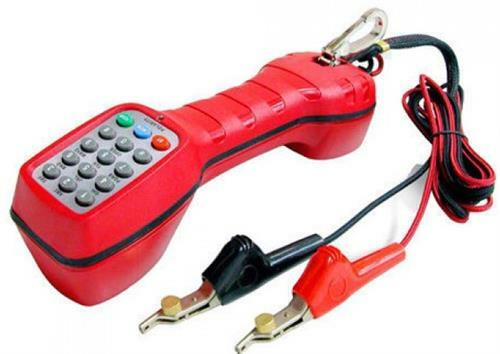 Stripping coax cable with this tool is a simple operation and full operating instructions are provided. 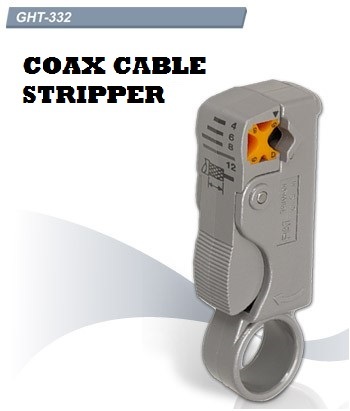 Simply insert the coax and rotate the tool 3-4 times for a perfect strip. 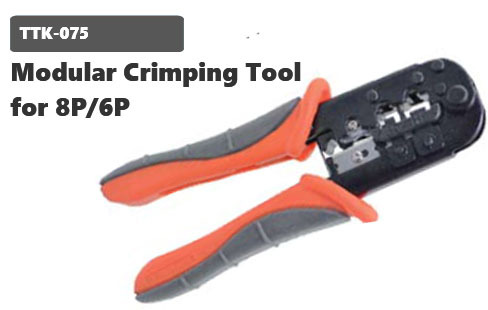 The stripping blades are fully adjustable to increase or decrease the stripping length from 4mm to 12mm. 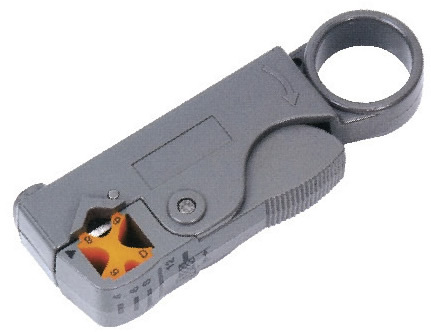 The blade is factory pre-set for a 6mm strip. 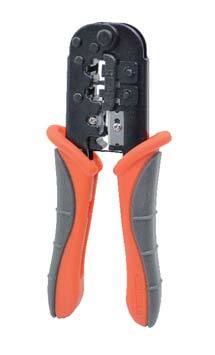 Blade depth is also adjustable with the included hex wrench.